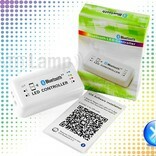 Bluetooth RGB LED strip controller (latest V2 version) with extensive APP. 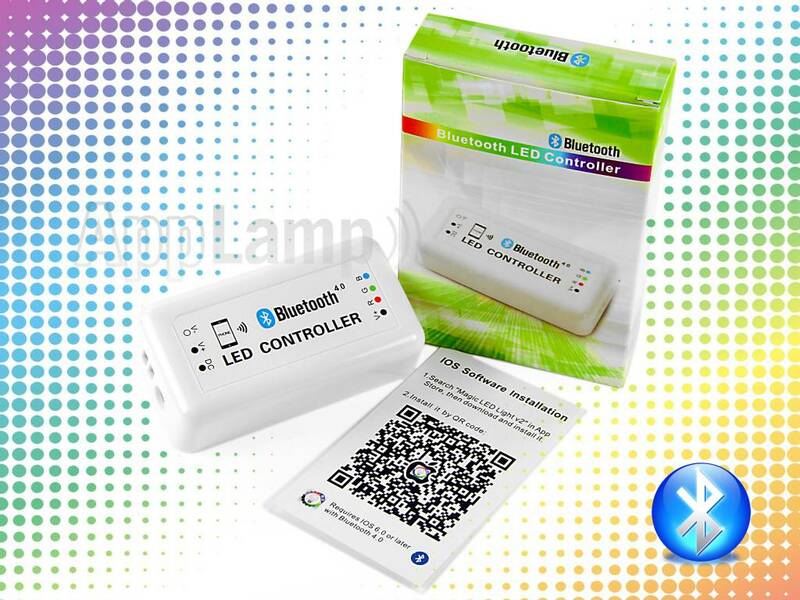 Control your RGB LED strip directly via Bluetooth from your smartphone or tablet. Wide color range and clock with timers. 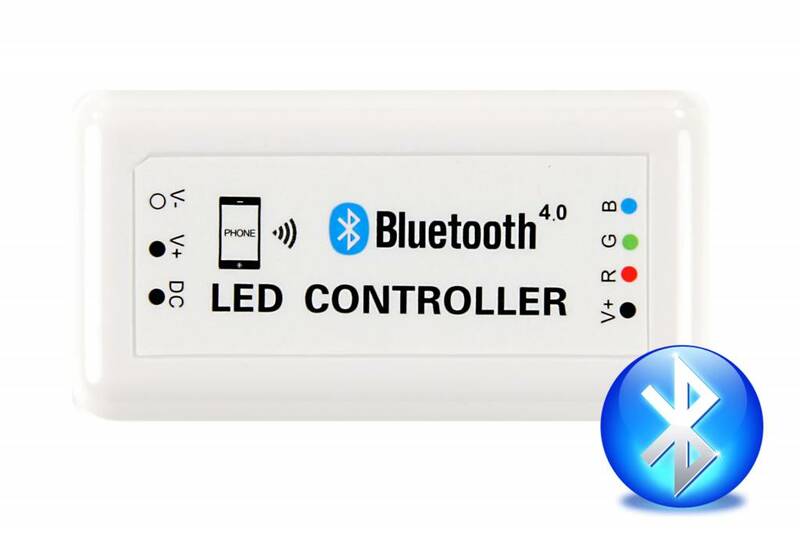 BLUETOOTH 4 RGB LED strip controller, the latest version 2 model with extensive APP for smartphone and tablet (iOS and Android). 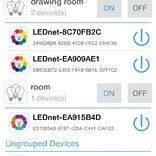 Control your RGB LED strip directly via Bluetooth from your smartphone or tablet. 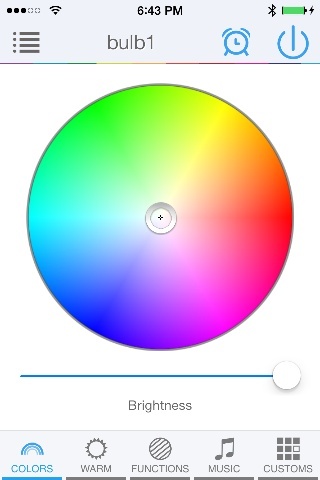 Wide 16 million color wide RGB color range, also for creating soft pastel tints. 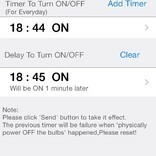 The Bluetooth APP is also equipped with a screen where you can set timers to switch the lights on or off and change color or dimmer setting at certain times. 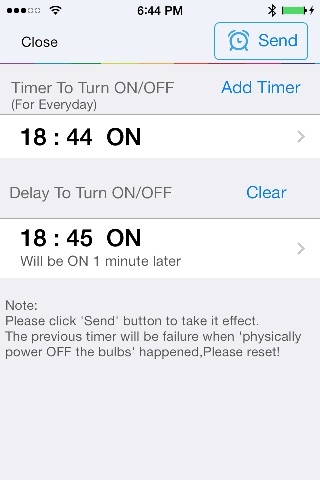 This is ideal for when you are on holiday and automatically switch on the light at specific times. 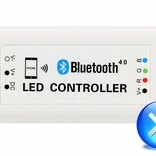 Also handy for automated timed control of LED illuminated signs. The controller stores all settings so the device with App doesn't have to be in range. You can choose from a variety of preset effects, but you can also create a custom color program with the APP of this Bluetooth LED controller. 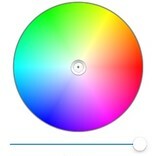 It is also possible to load a MP3 music file for color effects. 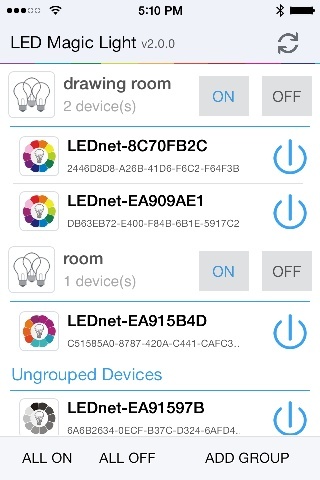 You can easily use multiple Bluetooth lamps and multiple Bluetooth LED controllers together and operate both individually or in a group, all from within the same APP.